Festival Internazionale di Bratto 2010, including Open A and B, Italian Junior and Italian Women Championships, was held on 20-28 August in Castione della Presolana, Bergamo, Italy. 78 players participated in the main Open A, which was ultimately won by the Russian Grandmaster Vladimir Burmakin who collected 7.0 points from nine games. GM Konstantin Landa 2598 RUS, GM Marcin Dziuba 2582 POL, GM Boris Chatalbashev 2613 BUL, GM Anton Kovalyov 2599 ARG and reigning World Senior Chess Champion GM Miso Cebalo 2500 CRO, shared the second place with 6.5 points each. 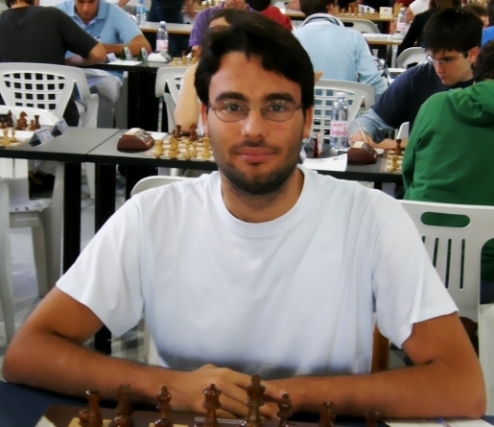 In the group of players who finished on 6.0 points is Sabino Brunello, who to the delight of the Italian chess fans scored his final Grandmaster norm. Brunello was born on 26th July 1989 in Brescia. In 2006 he became International Master and made a debut for the national team by participating in the Torino Chess Olympiad. He also played in Mitropa Cups, helping Italy to claim the trophy this year, and is set to play in the Khanty-Mansiysk Chess Olympiad. 16-years old WIM Marina Brunello is his sister. Italian Women Chess Championship was also played over 9 rounds Swiss system. 30 players took participation and the new champion is 22-years old WFM Maria De Rosa from Naples. This is her second national title, earlier she was champion back in 2003. Standing of Italian Women Championship: 1. WFM Maria De Rosa (Neaples) 7.5/9; 2. Tiziana Barbiso (Turin) 7.0; 3. Roberta Brunello (Milano) 6.5; 4. WFM Marianna Chierici (Reggio Emilia) 6.5; 5. WFM Maria Teresa Arnetta (Palermo) 6.0 etc. FM Alessandro Bonafede is new Italian Junior Champion.